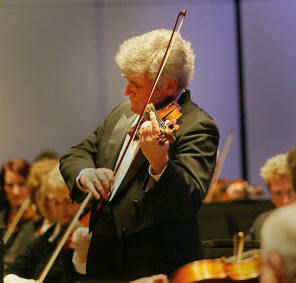 Maestro Pinchas Zuckerman playing his Michael Vann bow at a performance in Victoria, BC's Royal Theatre in 2005. He is accompanied by the National Arts Centre Orchestra of which he is resident conductor. 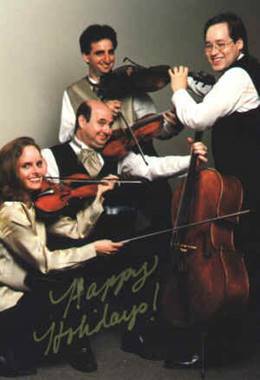 Best wishes from the Amernet String Quartet! One of today's most accomplished and exciting young ensembles, the Miró String Quartet recently received the Walter W. Naumburg Foundation Chamber Music Award for 2000. 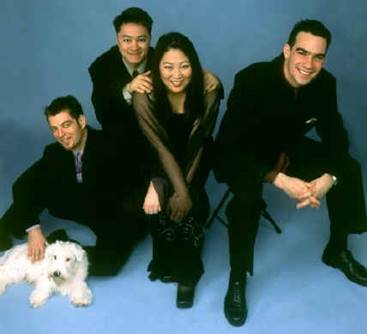 They had earlier achieved widespread recognition with a First Prize win at the 1998 Banff International String Quartet Competition, at which they also received the Pièce de Concert Prize for their performance of a specially commissioned work by Canadian composer Chan Ka Nin, making them only the second ensemble to garner both prizes in the seventeen-year history of the competition. Internatonal renowned concert violinist Nikki Chooi has served as concertmaster of Metropolitan Opera Orchestra in New York. This former Victoria BC native has won numerous awards and was picked to be the youngest concert master ever to occupy that seat. He plays a Michael Vann bow and a Joseph Curtin violin. "To Michael Vann, with my appreciation for his wonderful workmanship and warmest wishes for his success." 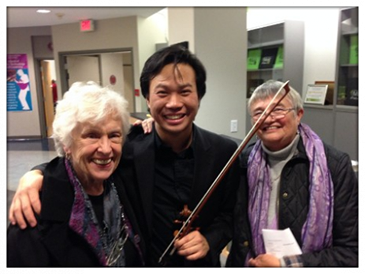 Regis Pasquier of the Paris String Trio purchased a Vann bow while performing at the Victoria Conservatory Summer String program during the early part of the 21st century A very successful summer string program that ran for a number of years and drew participants from many countries. Dear Michael: Sorry it took so long to send you a picture, but I waited to the able to send you a picture where you can actually see your own bow! 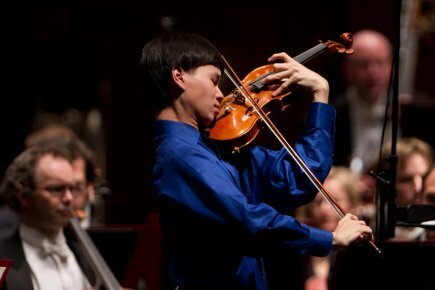 The 71st edition of the Orchestre Symphonique de Montréal Standard Life Competition ended when16-year-old violinist Timothy Chooi was named the Grand Prize winner. 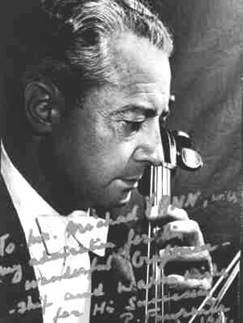 He performed Sibelius Violin Concerto twice with the OSM: first as part of an evening concert and earlier the same day, at an open dress rehearsal for a student audience. His bow is a Michael Vann. Distinguished professor of violin Burkhard Godhoff of Toulouse, France traveled via Paris to the Gabriola studio to purchase 10 Michael Vann bows for his students. 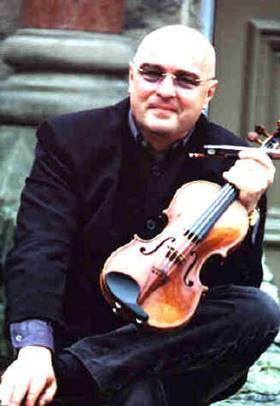 That has turned into a lifelong friendship and eventually brought him to Victoria, British Columbia to take the post as head of strings at its Conservatory. From there to Shanghai and eventually back to France. 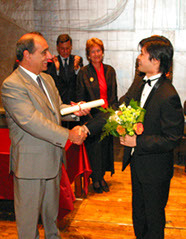 MENGLA HUANG is congratulated after his decisive first-place win at the 2002 Paganini Competition in Genoa, Italy. He earned his gold medal with the aid of a Michael Vann Violin Bow. 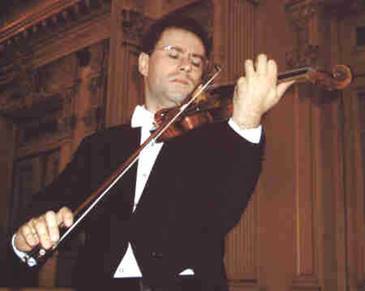 Nikolaj Znaider is from Denmark and won the top European Soloist Prize known as the ABA prize. 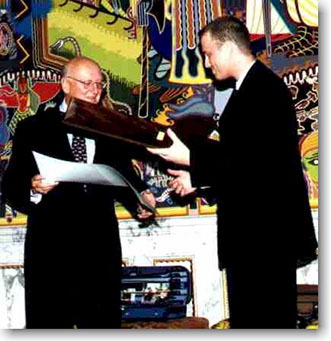 He is shown here with his bow, receiving a certificate from Pro Europa president Dr. Walter Von Wartburg. 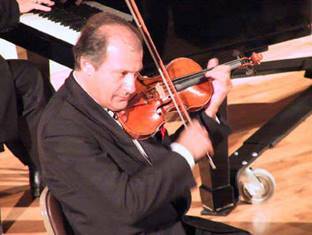 Mr. Znaider has embarked on a professional career and makes his New York debut in 2000. "We watched Nicolai Zneider tonight in the Sibelius, mesmerised by the Vann bone frog going up and down. Is it haunted?"